Growing up in North Philadelphia, Gerald Dessus used reading to retreat from what was occurring at home or in his neighborhood. 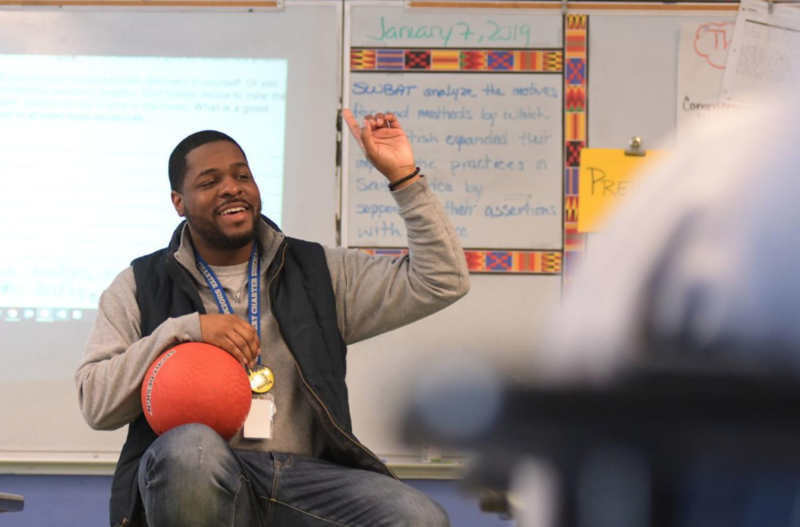 Now a teacher at Mastery Charter School, Shoemaker Campus, Dessus has been recognized as a rising leader in literacy by the International Literacy Association. The global advocacy organization recently named the 29-year-old to its 30 Under 30 list. There are approximately 126 million youth age 15-24 around the world who are illiterate, according to ILA, and 781 million people worldwide who are unable to read or write. That staggering statistic is what drives Dessus to leave an imprint on his pupils. “When we have programs in our schools that really focus on literacy and literacy development, we’re making sure students have the best skills and are prepared for high school and college, and that we’re not failing or adding to those literacy numbers that we’re trying to combat,” Dessus said. “To have this young Black man be this force in our children’s lives and in the community over all is really a blessing,” he added. Dessus graduated from Philadelphia public schools and earned a bachelor’s degree from Lincoln University and a master’s degree from the University of Kansas. 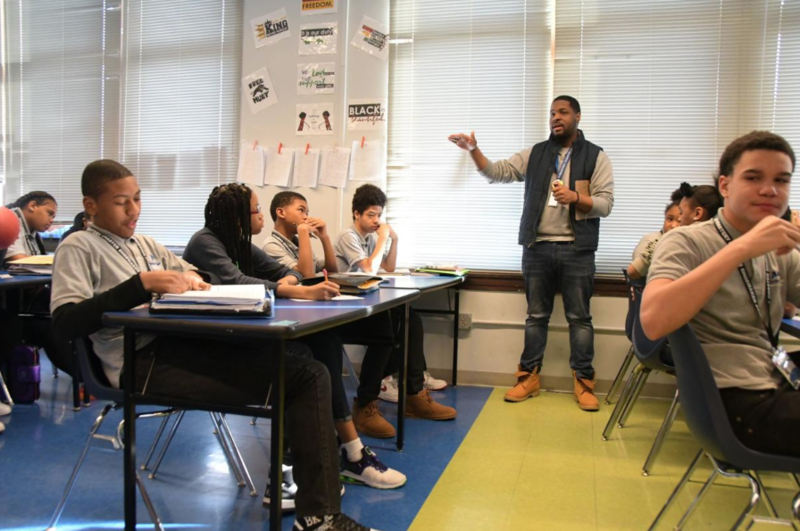 He has been teaching at the West Philadelphia charter school for three years. Dessus teaches a social justice course as part of the school’s history department with a focus on writing and literacy. Some of the aspects students study include the civil rights movement and heroes who are rarely heard about; along with diving into colorism, the Black Panther movement, the #MeToo Movement, LGBT rights, bullying and more. The course is taught to all eighth-graders and has been adopted at six other Mastery campuses. Another local winner is 11-year-old New Jersey native Marley Dias, who created the #1000BlackGirlBooks campaign at school. In addition to being featured in the the organization’s January/February issue of Literacy Today and its other platforms, winners receive a year ILA membership and will be recognized at an ILA conference, among other things.